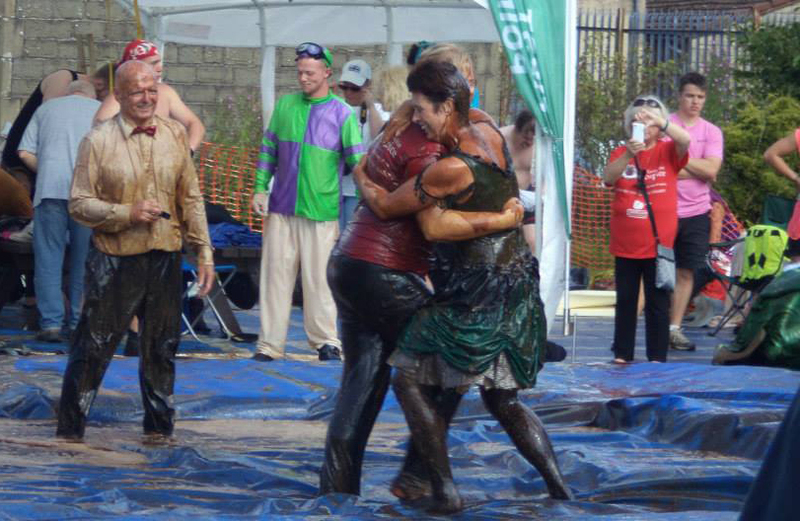 There were thrills and spills as the 7th annual Gravy Wrestling World Championships took place in Stacksteads. Hospice fundraiser Denise Gee competed in the tournament which required 1200 litres of traditional Lancashire gravy. Proceeds from the event and a raffle are donated to the hospice. This year an incredible £3,500 was raised. Our very own Denise finished a runner up in the competition which saw wannabe champions dress as roast dinner accompaniments such as a giant brussel sprout and a huge yorkshire pudding. Thank you to all the volunteer team and of course to the event organisers for inviting us to be part of the annual event which always takes place on August Bank Holiday Monday. If you're interested in getting in the gravy next year please call our fundraising team on 01254 733412.